Tomorrow’s a big, big day in the land of Magenta with the formal introduction of new rate plans, possible LTE and iPhone launch news as well as the release of the BlackBerry Z10. BlackBerry fans should take note as company owned retail stores are receiving inventory today in preparation for tomorrow’s launch. 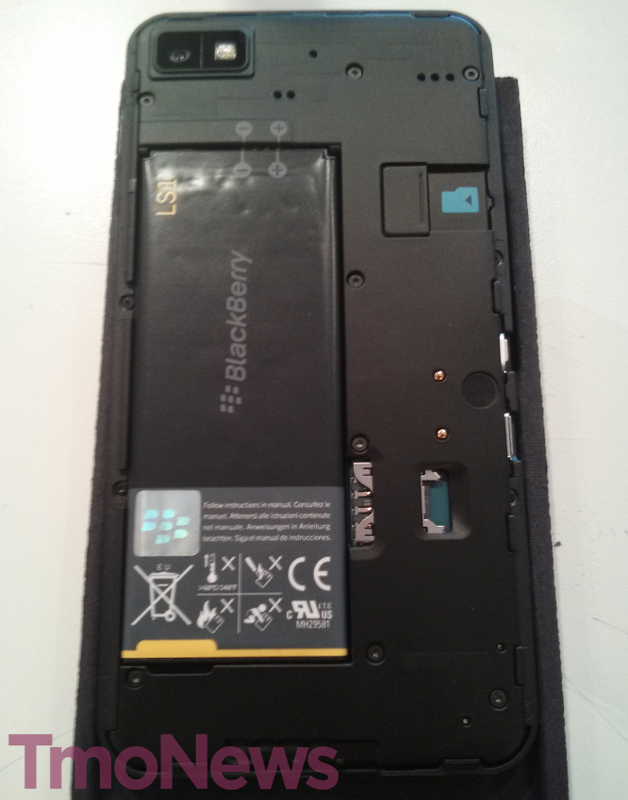 While I haven’t had a chance to go hands-on with the Z10 as of this writing, and knowing that many of you have already written the Z10 off — I’m still eager to get my chance to see if BlackBerry hasn’t found at least a little mojo again. With early reviews of the Z10 varying wildly from downright hateful to mostly positive, I’m eager to see how the T-Mobile fan-base reacts. I hope you are too. The more OS options we can provide the better. T-Mobile is going to have a GREAT year! Going to pick up 2 Z10’s first thing in the morning (for my wife and myself)…it’s been a LONG wait, but I’m psyched! I sure hope more members of the T-mo community will check it out and give it a shot…you’ll be pleasantly surprised with the new OS! At this point, I’d rather have a new Windows Phone. I just don’t think there is enough room in the ecosystem for a 4th OS, especially since they don’t have tablets or a computer OS. and it’s cheaper too.. some times they sell it on Ebay for $175 64GB. I’m buying 2 Z10’s tomorrow too. 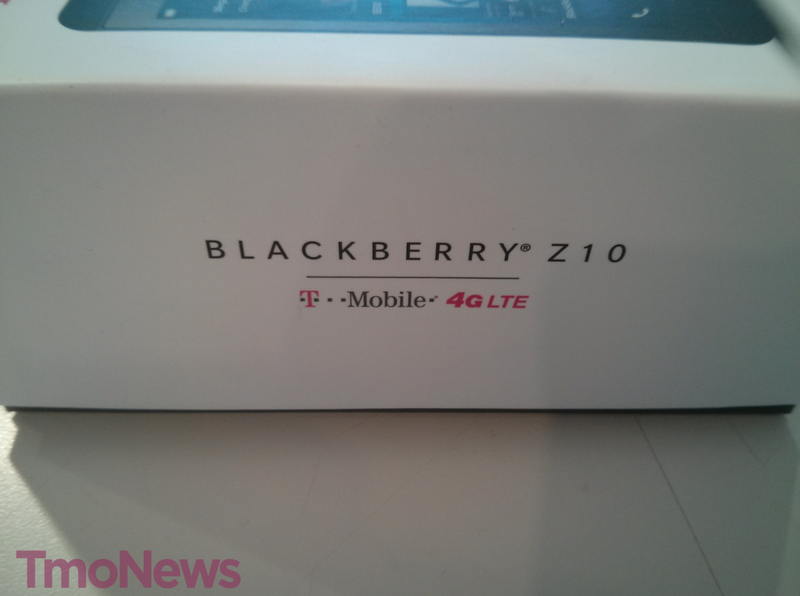 I’m super excited about getting the New Z10. Blackberry has done a fantatstic job of putting this phone together and the OS is amazing. Can’t wait. i played with a Z10 over the weekend .. it was nice .. you could tell it’s in the infancy stages though but a few things and swipe gestures were cool .. still not something that will pull many iOS or Android users away though. Do we have any price points on this yet? Meh. Yawn. No compelling reason to switch from Android. Probably because you still work at the mall. Ad hominem attacks are the weapon of choice for people with no real answer. You can disagree with the point by actually disproving it. Unfortunately you cannot. Bb10 is too little too late, and is not on par with Android. with all due respect, wait until you try one out before making any assumptions. It will blow your mind away! I am not going to buy the z10 but I am happy for T-Mobile because now they have a lot more phones to sell and that’s also a good thing for customers, now they have more choices with the z10, galaxy s4, htc one, galaxy note, iPhone 5, and maybe the Xperia zl. These phones would be great for LTE launch! YAY!! 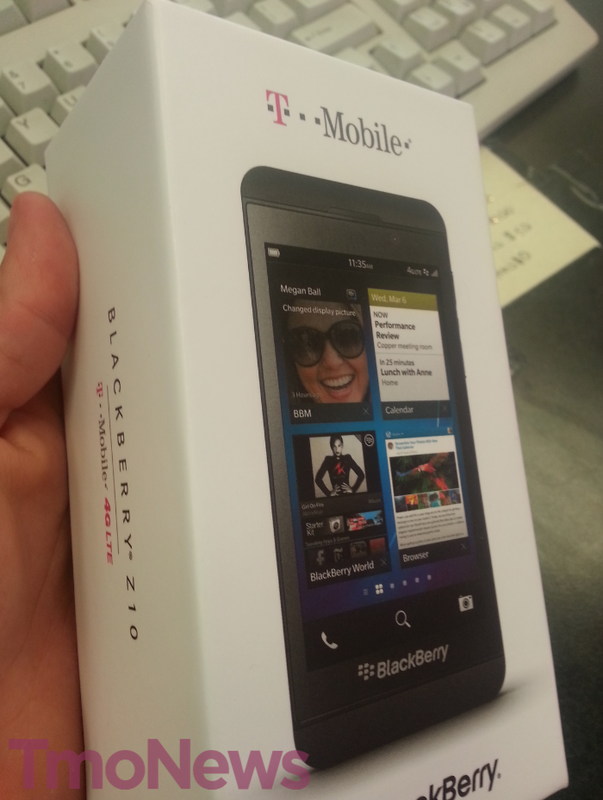 I CAN FINALLY GET MY HANDS ON A z10 TOMORROW!!! I really hope I like it more than my iPhone 3GS. I really want to! Any word on UMA/WiFi Calling yet? That would definately push me over the edge tomorrow. you will not be let down! I just switched from the same iphone 3gs to a blackberry z10 and I don’t think i could ever go back to the iphone.. my iphone seems so old and boring now! No wi-fi calling or HD voice. Yep we got them today in stores. Going up for sale tomorrow. No info on the pricing yet as of now. We got them in today too but isnt the launch day wednesday? If it has UMA calling like other BB phones, then there could be some interest. Waiting for tomorrow. 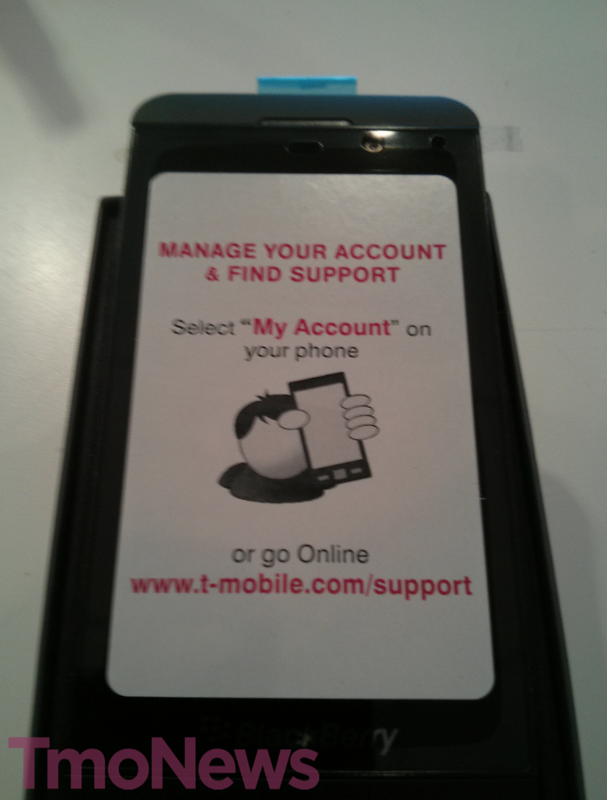 i was just at a tmobile store asking some question,the guy had the z10.. i was playing with it. tomorrow im gonna have my hands on it… he said he loved it he couldnt put it down.. and he has an iphone . 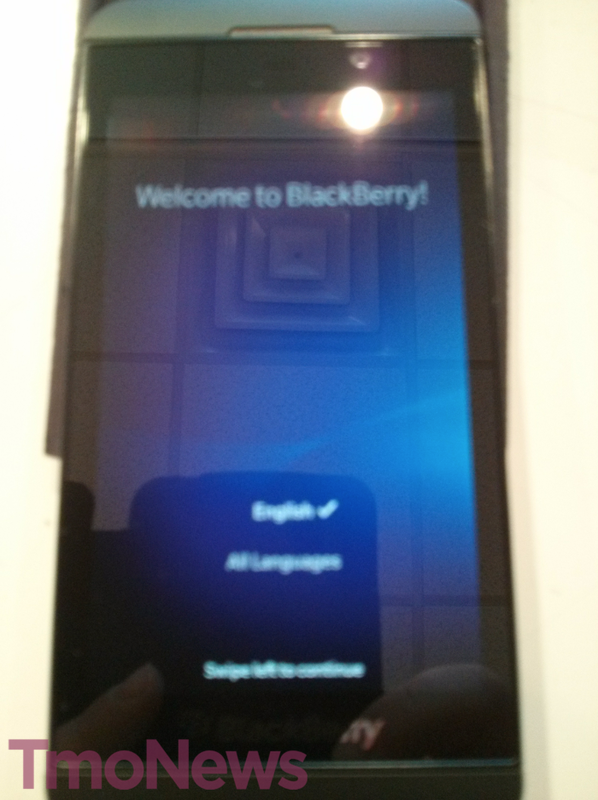 As the day ends here is Los Angeles, I’m going to put my hands on the new BB Z10. Tomorrow I’m expecting to get two of them. It should be a fun day. Yes Blackberry Z10 tomorrow!! Picking up two of them! Any word on wifi calling/UMA? 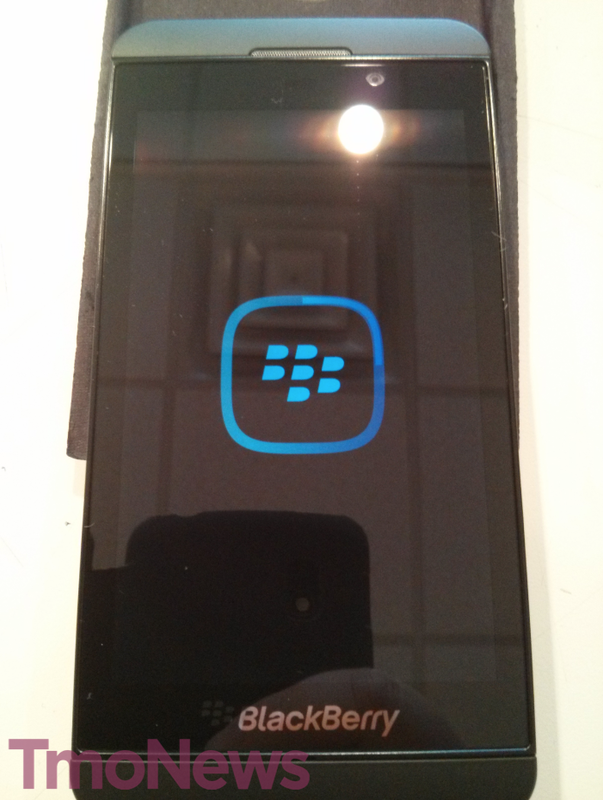 Have had the Z10 for a little over a month now. Awesome device. Best mobile browser and keyboard on the planet, bar none. That’s what I said when I looked this morning. I’m not bothering with an EIP for this. Let the switch from Sprint, AT&T and Verizon begins!!!! BWahahahhah!!! I still don’t believe this will happen. I left Sprint about a month ago to purchase this phone and I haven’t looked back. This is a kick-a$$ phone and T-Mobile is leaps and bounds better than Sprint.